Editor’s Note: This analysis is part of USC-Brookings Schaeffer Initiative on Health Policy, which is a partnership between the Center for Health Policy at Brookings and the University of Southern California Schaeffer Center for Health Policy & Economics. The Initiative aims to inform the national health care debate with rigorous, evidence-based analysis leading to practical recommendations using the collaborative strengths of USC and Brookings. The following three federal actions could offer distinct forms of protection from surprise bills – from requiring that any amount paid toward a surprise bill must count toward the maximum out-of-pocket limit to holding patients financially harmless for any cost above in-network amounts. In this blog, we explain the details of each action, and discuss the merits, risks, and limitations of these reforms. Sponsored by Representative Lloyd Doggett (D-TX), the End Surprise Billing Act of 2015 aims to prevent surprise bills for patients treated in a hospital. As a condition for participating in Medicare, it would hold patients harmless for OON charges above their normal in-network cost sharing when surprises occur, for both patients receiving care at OON hospitals without notice, and patients receiving OON care at an in-network hospital.Additionally, the bill outlines a notification and consent process required of facility-based health care providers. With respect to notification, the bill would require that the hospital or provider send information to the patient about the OON providers involved in their care and the estimated costs of their anticipated services. Then, with no less than 24 hours in advance, the provider would have to document the patient’s consent to incurring the aforementioned OON service and cost. Without this notification and consent, patients would be held harmless for charges above those they would have faced if the services had been performed by in-network providers. For emergencies, no such notification or consent is required—patients would only be charged in-network rates for emergency care. While the patient is held harmless in either emergency or non-emergency scenarios, the bill does not specify a fee schedule or dispute resolution process, but instead leaves providers and insurers to work out a rate between them. The legislation would provide strong financial protection from surprise OON bills to patients. First, the notification would require the inclusion of information sufficient to enable informed decisions about whether to move forward with OON care. Furthermore, by making it incumbent upon providers to document the patient’s consent to such OON charges, the bill would ensure the information reached the patient. (However, one could argue that 24 hours’ notice may not enable adequate choice in some circumstances.) Finally, by stipulating that patients pay no more than they would otherwise pay toward the same services in-network, the bill would protect patients from the financial impact of each surprise bill. However, the End Surprise Billing Act does not directly address the amount providers must be paid in such surprise scenarios, as it does not prescribe a statutory limit on the amount or a process to resolve disputes over the amount between the insurer and provider. Without a fee schedule or dispute resolution process, providers have little incentive to lower their full “charge” – which is usually significantly higher than market-negotiated payment rates – and the insurer can hold out for discounts that are deeper than going market rates. Importantly, though, this bill would solve the issue of surprise billing for emergency care patients by effectively building on patient protections for OON emergency care passed in the Affordable Care Act (ACA). For emergency care, the ACA limits how much the insurer must compensate providers, to the greatest of the median in-network negotiated rate, the plan’s usual payment for OON services, or 100 percent of the traditional Medicare rate. But, the ACA leaves providers free to balance bill the patient for more than the insurer is required to pay. The End Surprise Billing Act fills this gap by prohibiting providers from balance billing the patient, relying on the ACA’s provision about what rate insurers must pay. 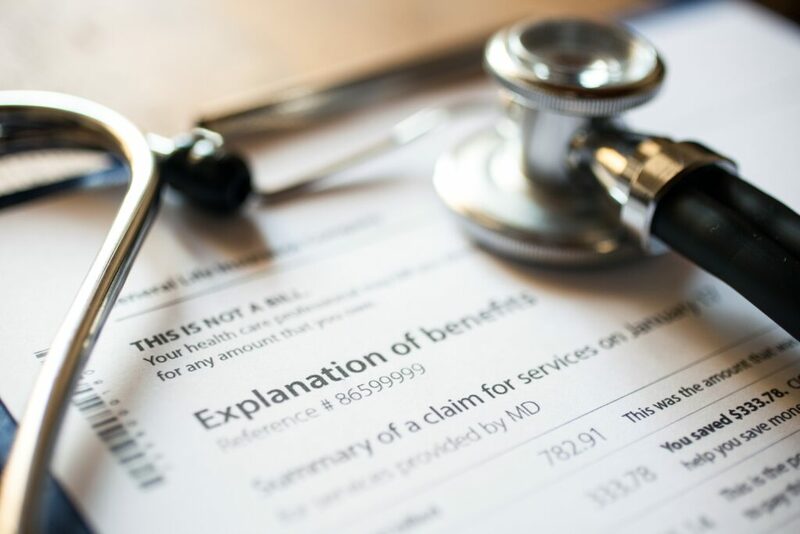 Thus, combining both the ACA and the End Surprise Billing Act provides a good model for a complete solution, albeit one that applies only to emergency care. The legislative text is not clear as to whether OON services at in-network facilities are covered by the proposed protections, but conversations with the bill’s sponsors indicate that protection is intended. Hence, this blog proceeds under the assumption that this protection is included.